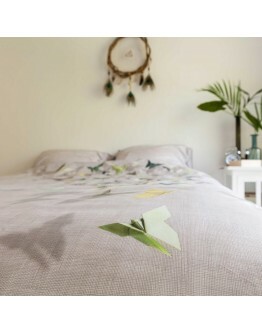 Snurk duvet cover butterfly. An open bedroom window freshens things up nicely. It sleeps better too. And sometimes, if you’re lucky, something special flutters past. Like at our place. Wild origami butterflies are a rare sight nowadays. Which is why we captured them on camera for this duvet cover. Isn’t nature beautiful? 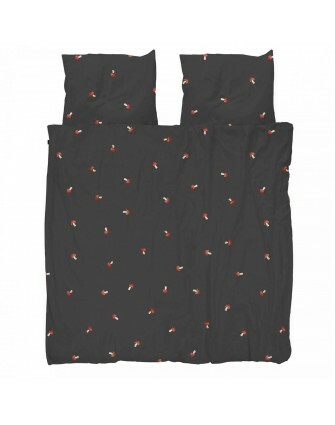 Size 240x200/220 cm – including 2x pillowcase 60x70cm. Total length incl. strip is 240 cm Material 100% percaline soft cottonl. 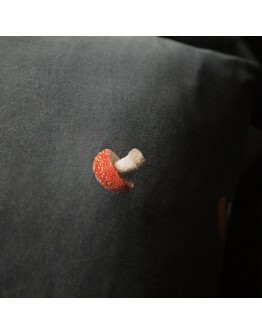 Washable at 30/40 °C - you can put it in t..
Snurk duvet cover mushroom. Are you ready for standing ovations in your bedroom? The orangey-red mushrooms with their white-spotted caps add even more atmosphere. This duvet cover is available in cotton or flannel and comes highly recommended by forest gnomes the world over! Size 240x200/220 cm – including 2x pillowcase 60x70cm. Total length incl. strip is 240 cm Material 100% percaline soft cottonl. Washable at 30/40 °C - you can put it in the dryer. 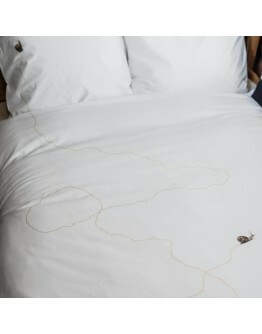 Designed in Holland, made in Portugal..
Snurk duvet cover snail. Once upon a time, there was a tiny snail that left a glittery golden trail. But no one knew about him because no one had ever seen him before. Until the day he crawled across a snow-white duvet cover by SNURK. His glittery trail lived happily ever after. Size 240x200/220 cm – including 2x pillowcase 60x70cm. Total length incl. strip is 240 cm Material 100% percaline soft cottonl. Washable at 30/40 °C - you can put it in the dryer. Designed in Holland, m..